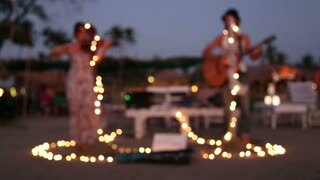 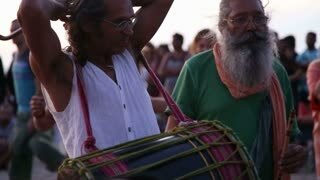 GOA, INDIA - 19 JANUARY 2015: Band playing on djembe on a sandy beach, with people dancing. 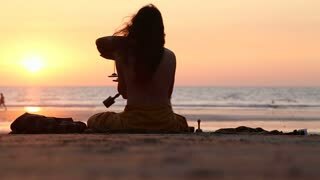 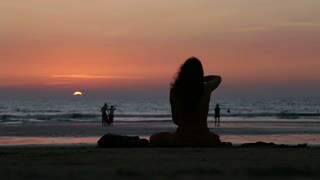 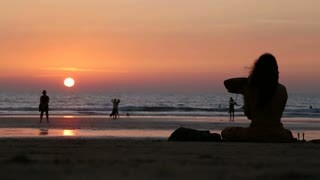 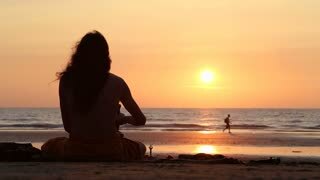 GOA, INDIA - 21 JANUARY 2015: Man sitting on beach at sunset playing music to the sun. 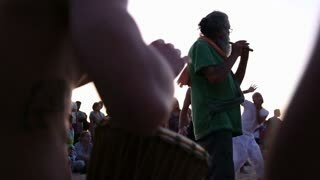 GOA, INDIA - 19 JANUARY 2015: Djembe band playing on a sandy beach, with people dancing. 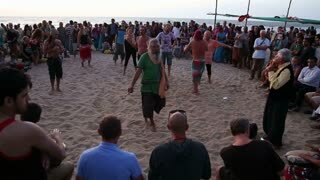 GOA, INDIA - 19 JANUARY 2015: Man filming on mobile phone people dancing on the beach. 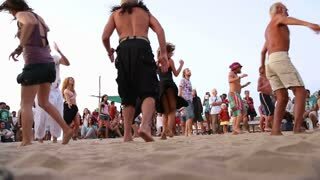 GOA, INDIA - 19 JANUARY 2015: People dancing on a sandy beach to the music played by djembe band. 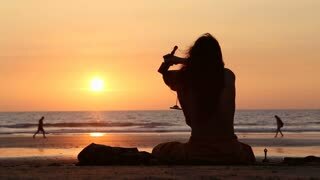 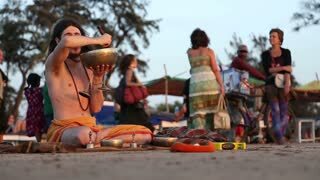 GOA, INDIA - 19 JANUARY 2015: Djembe player preparing for performance on the beach.